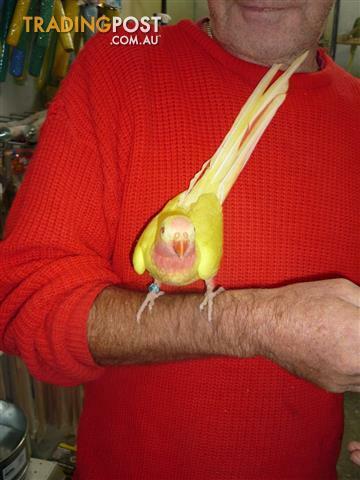 Hand Reared Lutino Princess Parrot a real clown. Name & Address Required..
Nunawading Birds & Pets is your one stop shop for all your bird and pet needs. 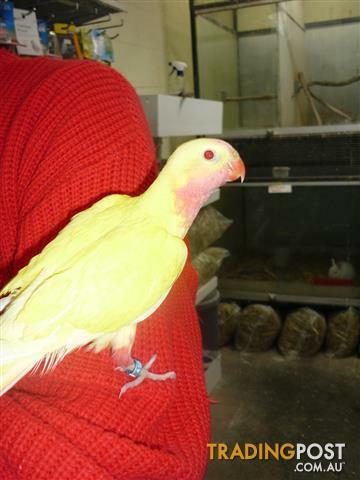 We specialise in a huge range of pet birds, aviary birds, rabbits and guinea pigs. We also have a great range of pet supplies including food, products and accessories, bulk seed and speciality mixes. Going on holidays? Don't stress! We offer bird boarding. Contact Nunawading Birds & Pets today! 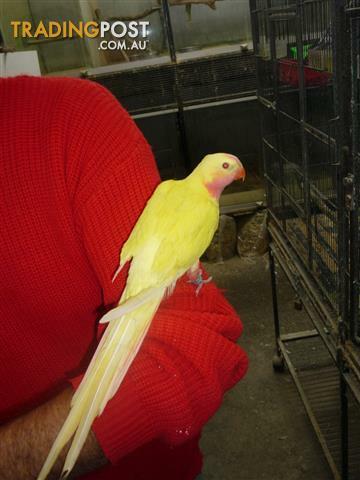 Find Nunawading Birds & Pets at 101 Springvale Rd, Nunawading, VIC. 3131.